"Shocking" levels of overcrowding on the Tube network means passengers often have to psych themselves up to travel, a London Assembly report has claimed. More than 80% of Tube users said they experienced "overcrowding which caused them discomfort", the study suggested. It called for a "traffic-light" system in ticket halls so people can judge exactly how packed the trains will be. 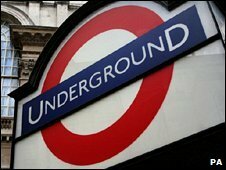 Transport for London (TfL) said it was spending "billions" of pounds to increase space on the Tube network. "This will mean more trains, able to carry more passengers, with faster journeys and larger stations," a spokesman said. The report said some passengers developed a ruthless "dog-eat-dog" mentality when boarding trains because they knew it would be difficult to find a seat. Sometimes they would grab seats at the expense of pregnant women and adults carrying children, it added. Others came up with "coping strategies" to deal with the lack of space, such as listening to music or turning their backs on fellow passengers so they would not see the crowded carriage. Some admitted they had to psych themselves up for the "struggle to clamber on board", while others said they had to make sacrifices - such as a loss of comfort - to ensure they arrived at work on time. Caroline Pidgeon, the London Assembly member who chairs its transport committee, warned TfL that it must not be "complacent about finding ways to make the situation more bearable". The report also criticised the "chaotic" upgrade of the Jubilee Line extension, which has resulted in sections of the line being closed for whole weekends several times in recent months. "We are calling for new thinking on how Tube upgrade work is managed," Ms Pidgeon said. "We cannot have a repeat of the way the Jubilee line upgrade works have been handled when it comes to upgrading other lines." A TfL spokesman said the committee "rightly acknowledges that more and more people are travelling on the Tube, which is why it is so crucial that we deliver the much-needed improvements". "We are spending billions to increase capacity on the Tube by 30% in what is the biggest investment in decades. "This will mean more trains, able to carry more passengers, with faster journeys and larger stations." He pointed to new trains on the Victoria Line, a revamped ticket hall at King's Cross underground station and the promise of air-cooled trains on the Metropolitan Line next year as "tangible improvements for customers". The survey conducted by the assembly talked to 716 people in September. The assembly also commissioned Andrew Irving Associates to conduct detailed focus groups with 57 commuters on how they coped during the rush hour.